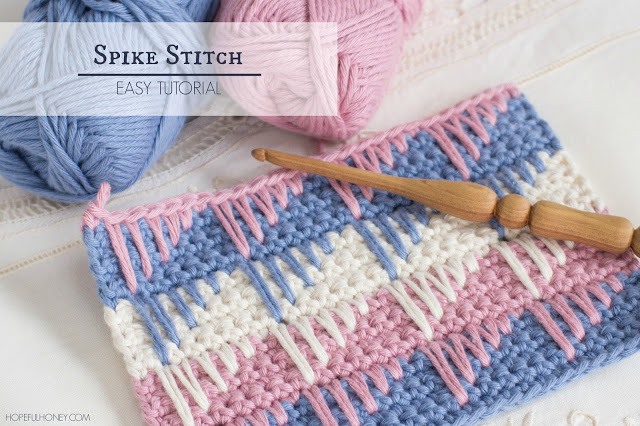 You may love the idea to crochet the spike stitch to make your pattern design more fun and versatile. The spikes jump over rows and can be arranged in any pattern you love once you have learned how it is crocheted basically. We have waffle stitch that give you textured looking but with basic crochet skills, and today this spike stitch needs beginner skills as well but turn out to be more sophisticated. Oliver on hopefully Honey shares an easy tutorial to make straight spikes, take a look and see what you can create with this technique.